LG has been making mobile devices since 1997, has entered the smartphone market in 2010, and they’ve now decided to foray into mobile SoC, with their very first SoC being an octa-core Cortex A15/A7 processor called NUCLUN, and found in their latest G3 Screen smartphone running Android 4.4.4. 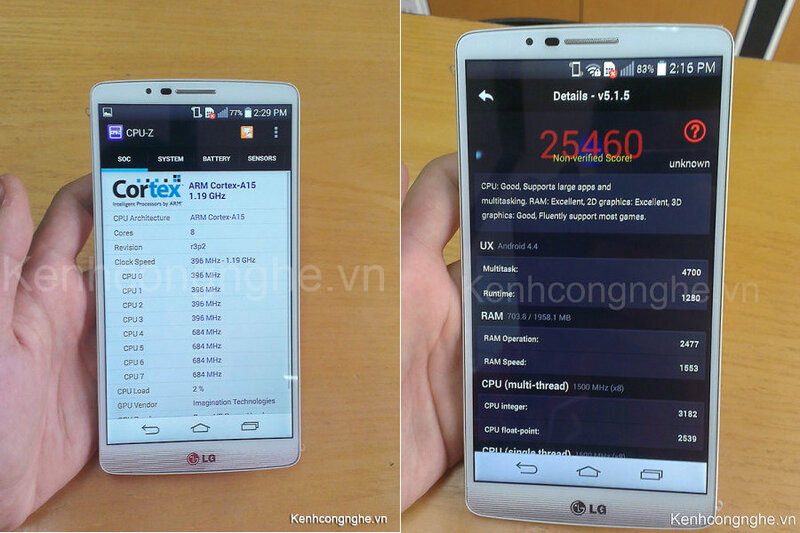 SoC – LG NUCLUN (LG7111) Octa-Core big.LITTLE processor with four ARM Cortex A15 cores @ 1.5GHz, four ARM Cortex A7 cores @ 1.2GHz. Network – LTE-A Cat.6 for up to 225Mbps download speed. The phone, also codenamed as LG Liger F490L, F490K or F490S (depending on carrier) , runs Android 4.4.4 KitKat on top of Linux 3.10.40+. The GPU was not listed, but based on some CPU-Z screenshots a PowerVR GPU (Series 6?) is used in NUCLUN. The firmware may not be optimized for performance just yet, as Antutu 5.1.5 score is just 25,460 points. 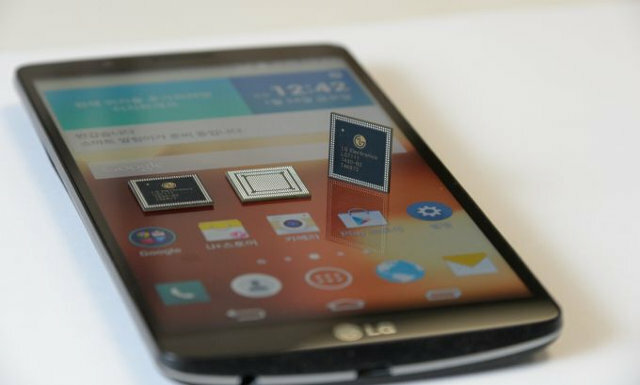 LG G3 Screen will only be available later this week in Korea, but price has not been disclosed yet. The firmware has not yet been made to give fake Antutu scores is a better wording for it. “Optimized” usually means doing some special tricks to give higher benchmark scores with no advantage as far as real world performance is concerned. Since all manufacturers do this not doing it means it will seem you have a weak product so you’re pretty much force to “optimize”. Also I kind of fail to see the point of this SOC, it seems a bit outdated and has nothing special. In a few months I expect to see 64 bit big-little SOCs but yeah if LG wanted to have their own SOC I guess they have it now. It probably doesn’t include an LTE modem so that’s a bit of a disadvantage compared to the Qualcomm or Mediatek SOCs. In another screenshot, it shows BASEBAND version: XMM7260-1428.02. So LTE is not integrated, and uses an external Intel LTE chip. As LG generally simply copies whatever dumb idea Samsung came up with that quarter, expect badly documented, marginally GPL compliant software. I’ll stick with Qualcomm, thank you very much. LG has no LTE tech of their own and since Samsung wasn’t able to get some to integrate into their SOCs ( until very recently I think ) there’s probably no way LG can get any. They can however attach a 3rd party LTE modem just like Samsung used to do for their SOCs. Still this is only the first LG SOC so maybe the next ones will feature an integrated modem.